Jordan wants you to listen to some music that he thinks is really good. You might think to yourself, "This is bad music!" but really you just don't get it, and you're probably not cool enough to listen to it anyway. Jordan likes indie music and electronic music mostly. The perfect song for Jordan includes high harmonies, synth, and a horn or two. Jordan likes to use mediafire to share his mp3s. The new Death Cab album is so completely full of dead cabs and dead cab drivers (that are cute) that there is absolutely no doubt who made this album. And it goes back and forth and back and forth, you know? And this is life, man, it's changes. UNKLE ain't no uncle of mine. Maybe he's yours? It would be hard to come up with an original story to match the title of this album. Bullshitting outlandish sci-fi/fantasy stories is so natural to me that when one is handed to me on a silver platter (this is a figurative platter by the way) I kind of freeze up and open my mouth and then close it like a fish would. Kruder and the Dorfmeister, when not fighting crime, mix the freshest beats in their palatial estate on the moon. They have 2 robot dogs and a robot cat. Chill electronic music. Someone reminded me that I have a music blog! Holy Crap! Hello, music blog. I uploaded music for you... then I forgot about you. 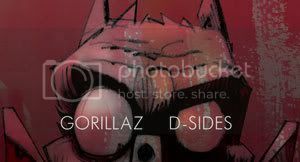 The Gorillaz are mutant monkey men sent from the future to save the past! Their second B-Sides album, entitled D-Sides, has a secret message about the fate of humanity of you play it backwards. Probably. Or you can just skip past the story and grab the ambient mix at the bottom. I apparently registered for animeforums.com at some point in the past. I don't remember doing it. Since I am a dumbass I decided to check out the website. This was about a month ago. What I found was not something that installed spyware all over my computer (I think). What I found was a bizarre webpage programmed by someone with very basic html skills. It was some sort of promotion for Buddhism, I think. It was a list of quotes from famous people, with random words as hyperlinks taking you to various websites instructing you to transcend, abandon your essence, or achieve enlightenment some way or other. Or something. Then there were a bunch of weird surreal pictures near the bottom, a couple of them by MC Escher. Each of these pictures linked to a different mp3. They make a pretty good mix. Here they are. It's an ambient/downbeat mix about an hour long. Named after the name of the webpage. The abigail.freehostia.com website isn't working anymore, but the internet archive wayback machine grabbed it before it disappeared, if you want to see it for yourself. Sigur Ros is hella Icelandic. These guys sing in their own language, man. They do what they want. One time, the guitarist used a cello bow on his guitar instead of hitting it with his hand. Except instead of one time it was every time they performed. They play by their OWN rules. Their own Icelandic rules. You couldn't understand. Bjork could though. She's Icelandic. The album Takk... was originally going to be the soundtrack to a new hit Nickelodeon video game based on their Takk... and the Power of JuJu other video games. When Sigur Ros heard that the game was going to feature shamanism they backed out. Nickelodeon was cool with it, and told them they were sorry for not mentioning it beforehand. 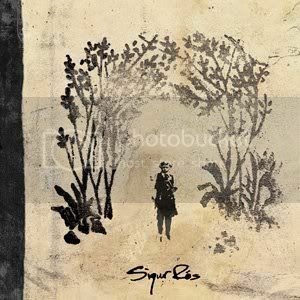 Sigur Ros asked if they could release the album anyway, and Nick was all, "Sure, heck, you wrote it, it's your music."